Thanks for the tips! I didn't know about the cotton socks thing until a couple months after I started running, oops! Thankfully no blisters yet but I'm sure it will happen as I increase my distances. I was planning on trying the Alexandra Heminsley vaseline tip once I get above the 10k distance. Have you tried the vaseline and did it help? I thought it was all about the socks ( not wearing cotton) but I admit I still got blisters. 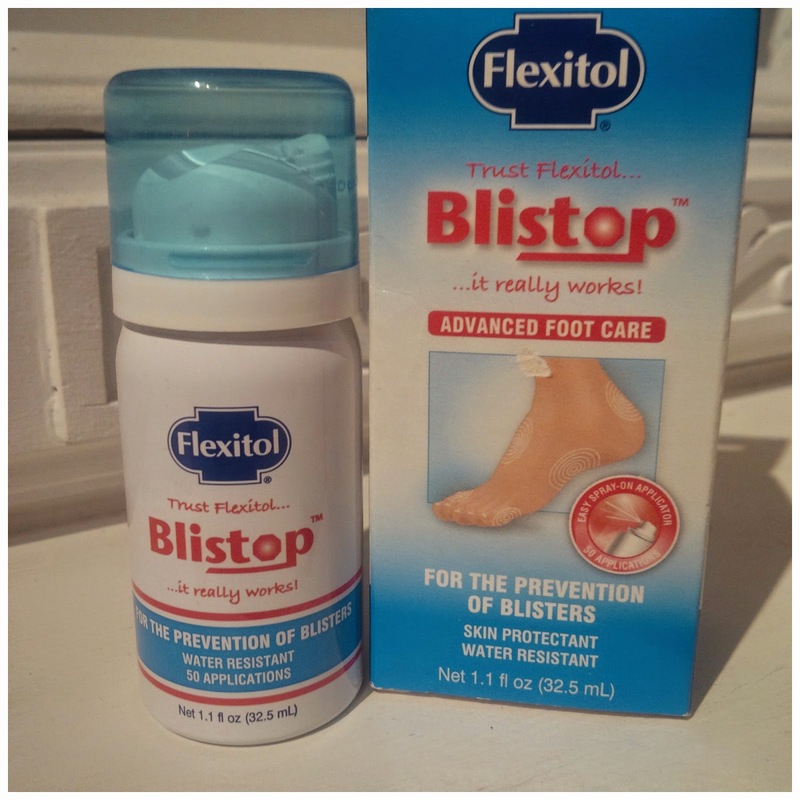 I have tried the Vaseline and sometimes it worked and sometimes it didn't but those times I really think it was the shoes I was wearing that gave me the blisters. I LOVE Injinji socks. My little toes like to hide under my forth toes and find it helps my running. I get plagued with blisters when I consistently run more then 6 miles. 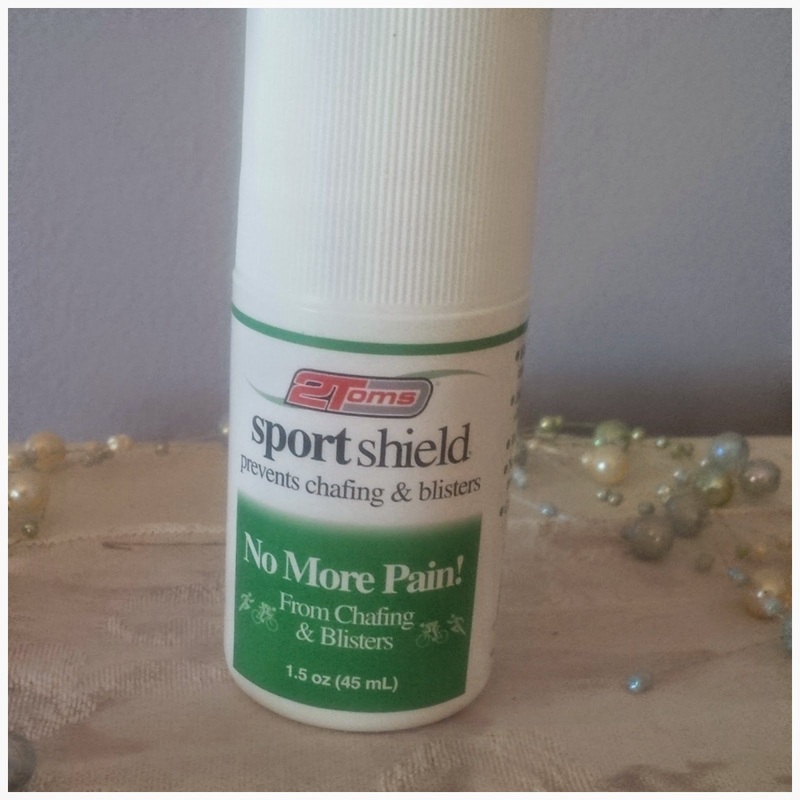 I have been using Spenco 2nd Skin Squares covered by adhesive to keep them in place. I don't find them 100% effective though, but I doubt anything is. I may be trying different things as I start my WDW Marathon training this summer. Thanks for the tips! I don't wear the Injinji socks often, but when I did I felt fabulous and blister free! And it looks like Injinji is having a sale this weekend. This may encourage me to get another pair other than the gray and green ones which I am not really a fan of! OUCH! I had no idea you could get blisters underneath your toenail. 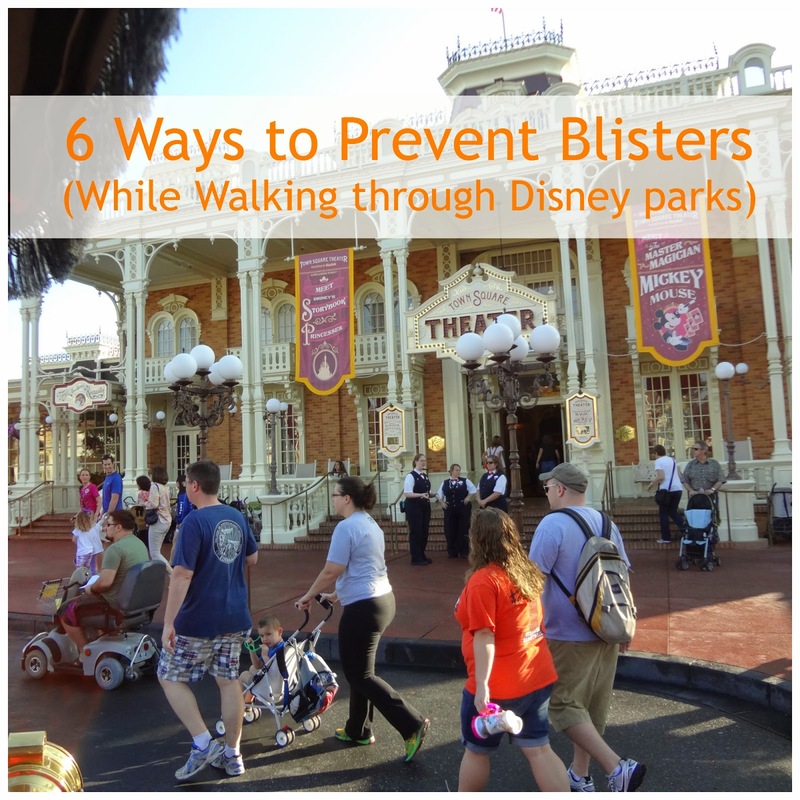 I have never had a blister from walking or running before *knock on wood* but I will definitely be taking these tips to heart to help prevent them from ever happening!! I had no idea blisters under the toe nail where even possible, but its true! Post too soon - but I'll try the rest! Thanks! 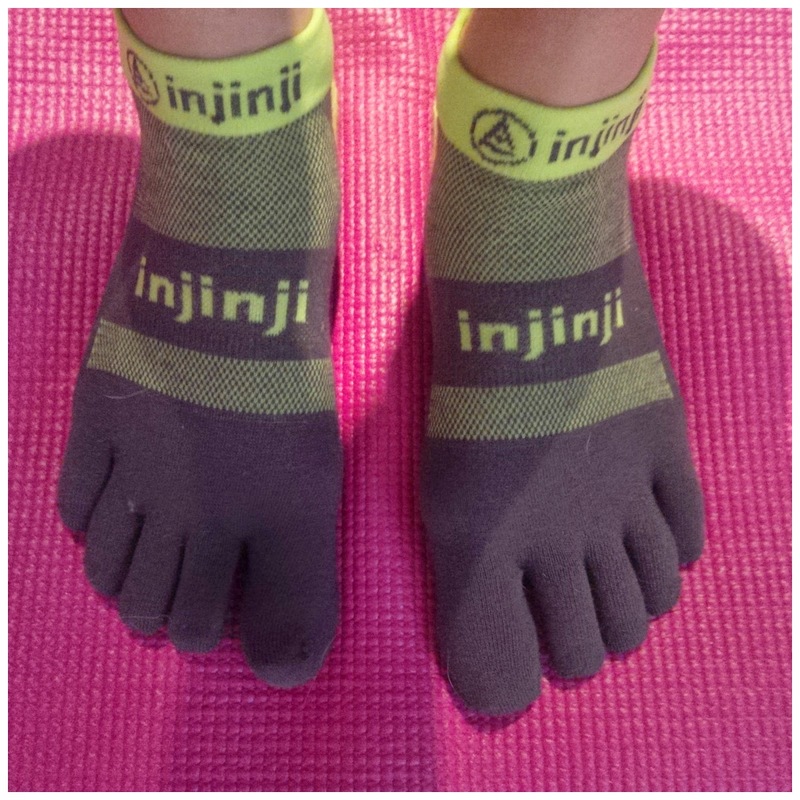 I thought the Injinji socks felt a little weird at first until you get use to them. I did like the material they were made out of and I didn't get blisters. Why didn't you like them? I didn't have any blisters training - until I got to PHM 2014 and WALKED the 5k with my mother! I thought at first that it was maybe the walking (so a different gait than I'm used to) or the humidity, but I've had problems ever since. I think it's punishment for skipping training runs during the polar vortex. I've already tried Body Glide and Run Goo on my feet, and had the running shop people check out my shoes and their fit. The last thing I tried was Swiftwick socks, which some people swear by, but they didn't do me any good, either. I have a pair of Wrightsocks to try next. Do you over pronate? That can contribute to blisters too. Let us know how the new socks work out for you. The day I wrote this post, I lost that same toe (nail) as you. I don't know why that happened since I've only done one long ish run in a long time. Maybe those blister had something to do with your socks? I had a terrible time with blisters last fall - I'd switched to a new, pair of running shoes - same size, style (even color, as if that mattered) but it was bad. I tried Body Glide; eventually I bought a new pair (same brand, different style) and ::knock on wood:: no blisters for the last few months. I'm interested in that powder you shake into your sock - might have to try that once we go into higher mileage in a couple months. If you are participating in the Scavenger hunt, that powder ( and glide) is one of the prizes! I wish I saw this before my last half marathon!!!!! I'm making note for the next! I didn't even know some of these products existed!! 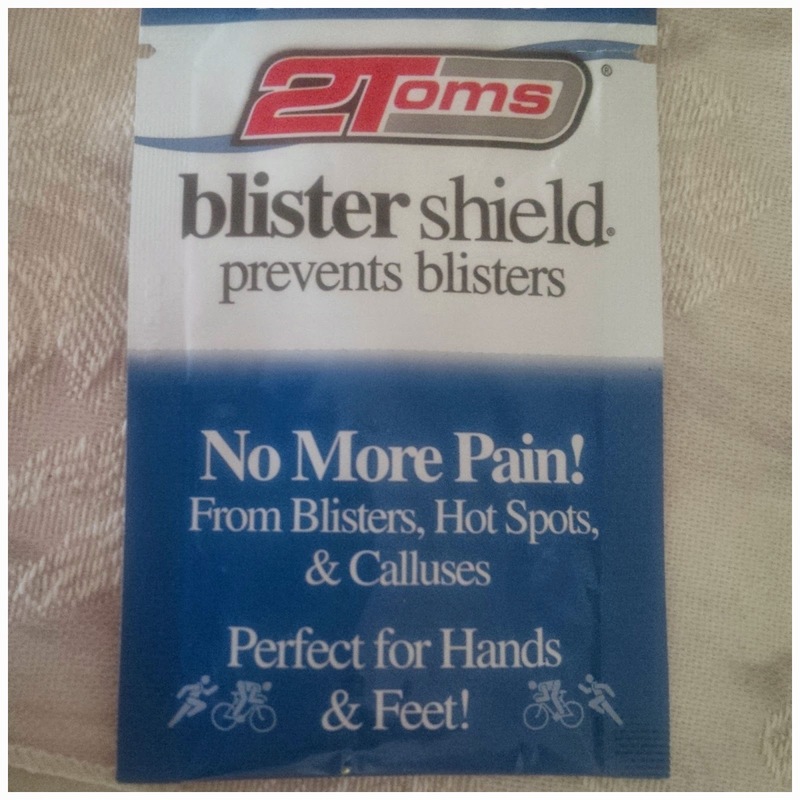 Yes, I hope you can use some of these and be blister free for your next race! I'll have to try some of these tips out. At my half marathon earlier in this month (as you know), I developed blisters early on in the race... which was weird, since I had done long runs in the same shoes and socks and didn't have any problems. The Body Glide obviously didn't stop the friction and pressure. For my half this weekend I tried some moleskin. The blisters weren't as bad, but they were still some there. I'm going to try out some new shoes at my local running store, but I think I'd like to give those Injinji toe socks a try along with some vaseline. Thanks for the tips! it is so funny how some things work at some times and other times they don't. I hope you find something that works for you too. I got two huge blisters on the outsides of both big toes during my 50 miler. THEY. WERE. HUGE. I did not know I had them until I took my shoes off at the end of the race. It's a good thing too, because once I took everything off they were really tender. I did prob the worse thing ever- popped them right away in the shower. OWWWWWW. I just couldn't stand them being there it grossed me out. It took so long for them to heal. It made sense I got blisters because my feet were getting wet, then dry, then wet again and we were running for almost 12 hours. I tried watching the video but my stomach started to churn and I had to stop! I am just like you and I have to pop them because I can't stand it..haha. But then they end up hurting afterwards. I always thought that popping them was bad until I watched that Dr. Oz video and he showed how to do it properly. I use to struggle pretty bad with blisters, once I switched to Injinji socks it totally cleared it up! I love my socks! Glad you love the socks! This comment will probably upset some people, but I have never had a foot blister from running. I wear Experia socks by Thorlo and they are wonderful. Maybe I am just lucky, but I know many runners who have tried the socks at our recommendation and they work! No way was I watching that video....too squeamish! Sorry you experienced those awful blisters but hopefully you now have a plan. 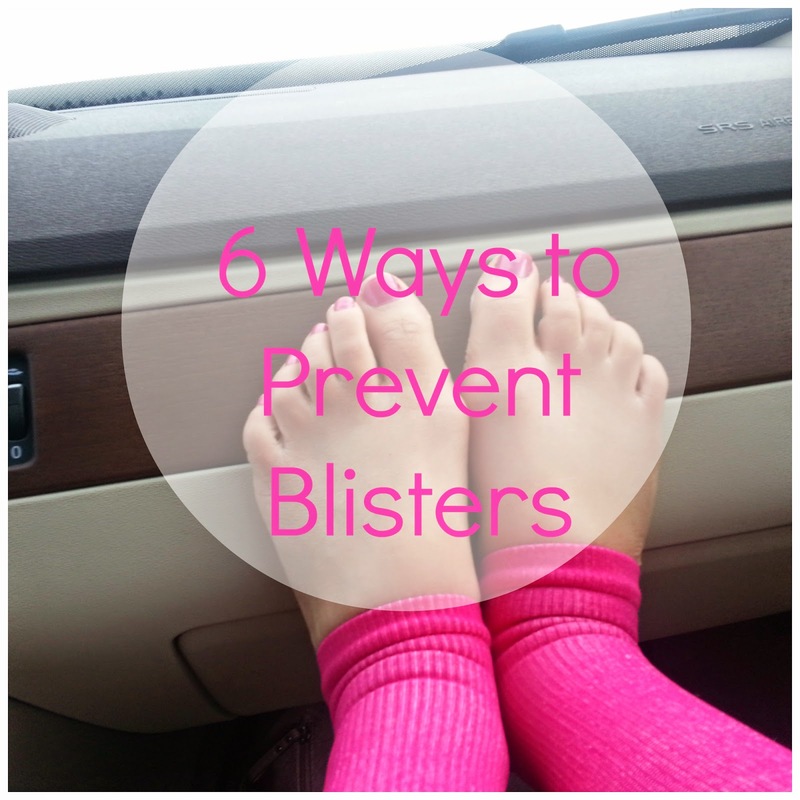 I always tell runners blisters are almost 100% preventable, and everyone just laughs at me:) but it's true. I rarely ever get them, even running for hours in pouring rain. I have been using Vaseline for years, because my dad was an old school marathon runner who taught me the trick when I was first getting into distance running. It works fabulously, of course you have to be in the right socks too:) The best part is, you always have soft great looking feet anytime of year from doing it:) Great post! Sometimes Vaseline worked for me and sometimes it didn't. I GET blisters from Injinji socks. Every. Time. Since switching to Altra shoes, I have yet to get a blister, this is coming from the girl that pretty much had permanent blisters on my 4th and 5th toes, on both feet. I love Smart Wool socks. I don't use anything gels or creams either. These are great tips! I don't get too many blisters but when I do they are so painful! I get a blister under my toenail (only on one, but it's always the same one and usually only after a long run/race). I think it comes from my foot shifting forward in my shoe and my toenail must push against my sock over and over again causing it to raise. The blister forms underneath from the toenail raising. I try to leave it alone, but I usually end up popping the blister (I know, totally bad) and then the toenail falls off shortly after. Gross, I know. ;) Putting a bandaid over the toenail helps. I've been super lucky (knock on wood) not to get blisters from running. I do occasionally get one from a new pair of work shoes, but wearing tech socks and well fitted shoes seem to do the trick for me.